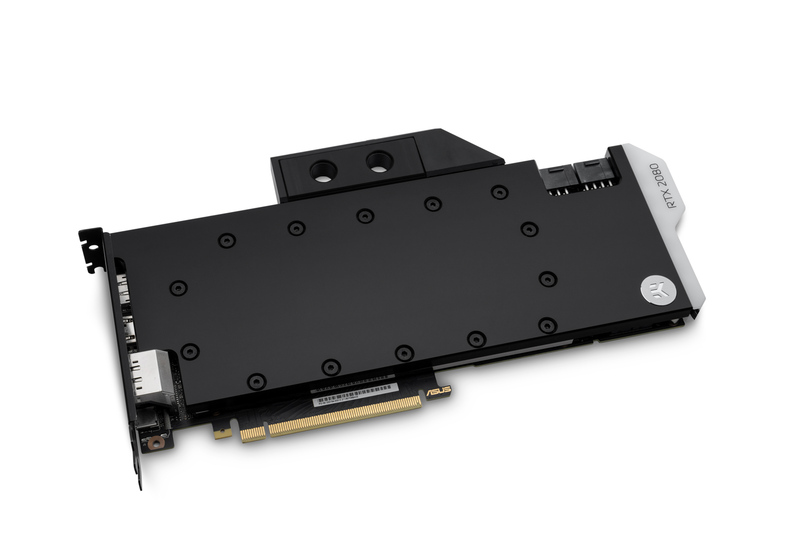 EK® Water Blocks, the premium computer liquid cooling gear manufacturer, is introducing its new generation of extended compatibility high-performance water blocks specially designed for reference design based NVIDIA® GeForce® RTX™ graphics cards. The EK-Vector RE high-performance water blocks are an evolution of the original EK-Vector water block where the cooling engine is tweaked for even more performance with an optimized flow pattern. The base of the block is CNC machined out of high-grade copper or nickel-plated electrolytic copper while the top is CNC machined out of high-quality acrylic material or durable black POM Acetal – depending on the variant you choose. Sealing is ensured by high-quality EPDM O-rings. The brass standoffs are already pre-installed and allow for a safe and easy installation procedure. 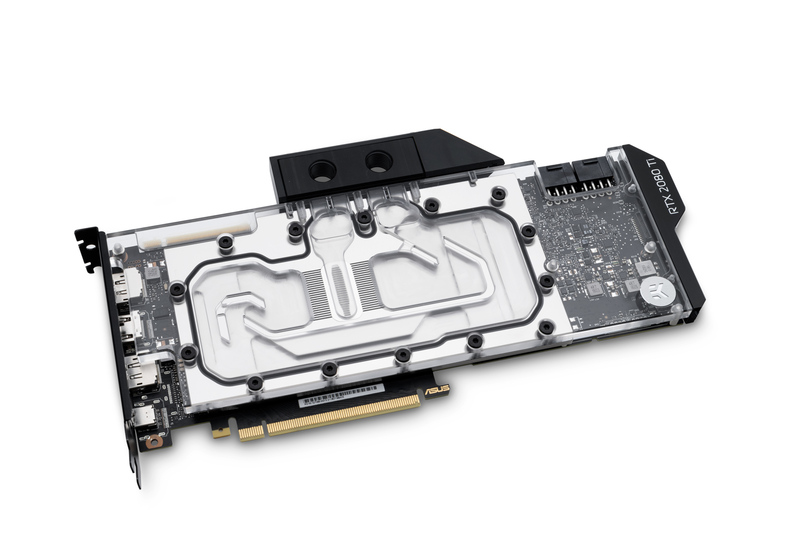 EK-Vector RTX RE water blocks are compatible with reference NVIDIA GeForce RTX 2080 graphics cards based on Turing graphics processors. The EK-Scalar multi GPU terminals are a perfect way to interconnect multiple GPU blocks. The EK-Vector RTX GPU water block terminal cover is not compatible with FC Terminal X and FC Terminal (Legacy) multi GPU connectivity bridges. The EK-Vector RTX RE series water blocks and backplates are made in Slovenia, Europe and are available NOW for order through EK Webshop and Partner Reseller Network. In the table below you can see the manufacturer suggested retail price (MSRP) with VAT included. EK-Vector RTX RE Ti RGB- Nickel + Plexi 149.90€ Order now! 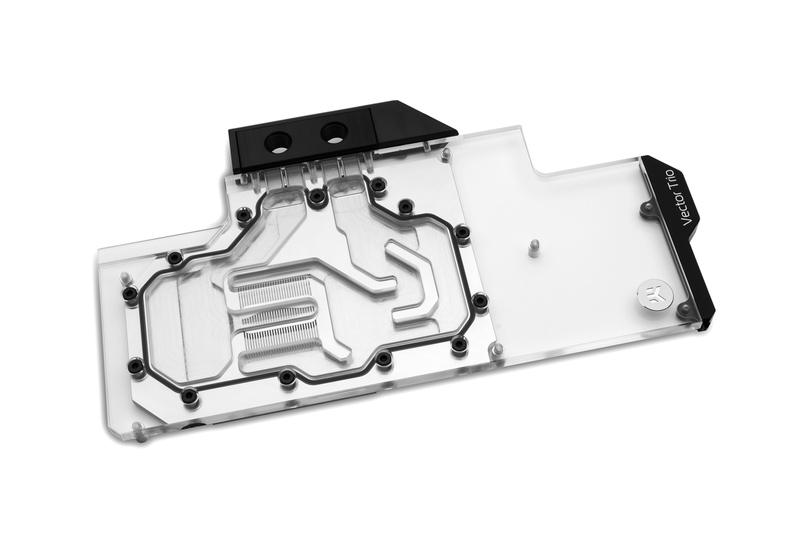 EK-Vector RTX RE Ti RGB – Nickel + Acetal 144.90€ Order now! 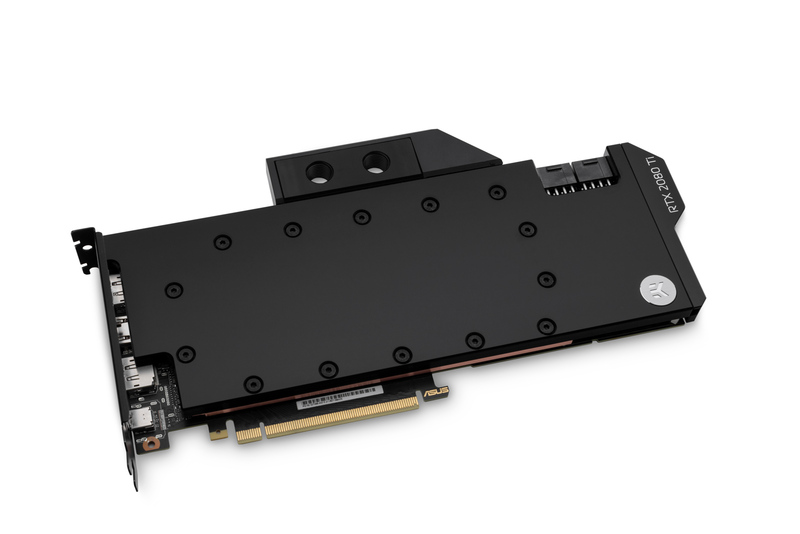 EK-Vector RTX RE RGB – Nickel + Plexi 149.90€ Order now! EK-Vector RTX RE RGB – Nickel + Acetal 144.90€ Order now! EK-Vector RTX RE Ti – Copper + Plexi 129.90€ Order now! EK-Vector RTX RE Ti – Copper + Acetal 129.90€ Order now! EK-Vector RTX RE – Copper + Plexi 129.90€ Order now! EK-Vector RTX RE – Copper + Acetal 129.90€ Order now!